Ever since my last sun dried tomato recipe, I have been dying to do another variation of it. I created a creamy and delicious sun dried tomato sauce that is completely nut free. 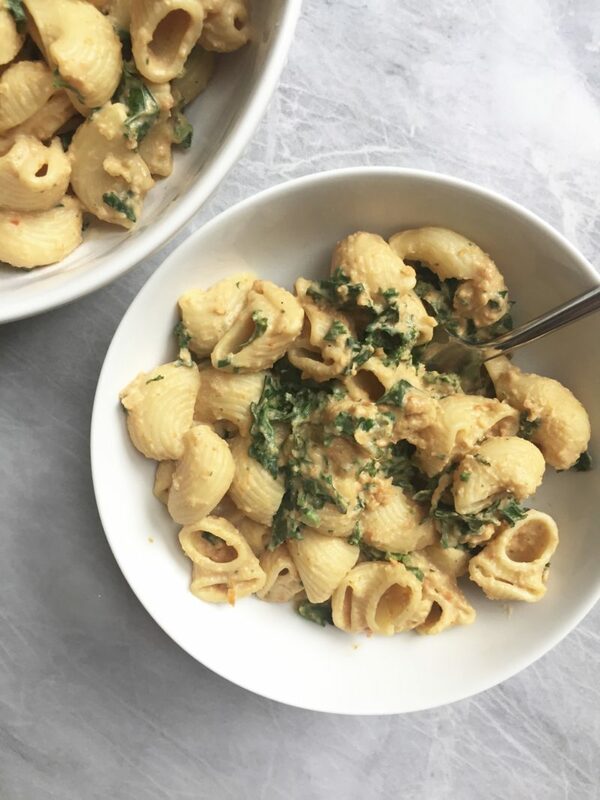 As I am allergic to all nuts, I know for a fact it can be a bit harder to find creamy pasta sauces that are cashew free. This pasta sauce resembles flavor of a Vodka sauce without the Vodka and heavy cream. It has that beautiful pink tint to it and packs a ton of flavor. As some of you may know, pasta is my favorite carb. So when I come up with a pasta sauce that accompanies my favorite carb that is amazing, I need to share it with you guys. I also decided to add some kale to the mix for a nice veggie vibe. You can sub kale with your favorite veggie such as asparagus, spinach, etc. It just adds a nice fresh factor and blends very nicely with the sauce. The recipe is super easy to make, and requires a few ingredients. It is super luxurious and non-vegan approved! If you make this, remember to “tag” me on Instagram @plantbasedjane so I can see! Bring a large pot of water to a boil, cook pasta according to package instructions. Chop up half of your onion and heat a sauté pan on low-medium heat and melt vegan butter. Cook onion for 10-15 minutes. It will be done when the onion is lightly browned and fragrant. In a high speed blender or food processor combine plant milk, sun dried tomato, basil leaves, spices, nutritional yeast and caramelized onion and blend until well combined. If pasta sauce is too thick for your liking, add a bit more milk. Now you can cook your Kale. Finely chop Kale and add to a sauté pan with either water or non stick oil spray. Add your spices and cook until wilted. In the pot that you cooked your pasta in, transfer pasta back into pot and combine kale and pasta sauce. Mix until well combined. Top with extra nutritional yeast and enjoy! 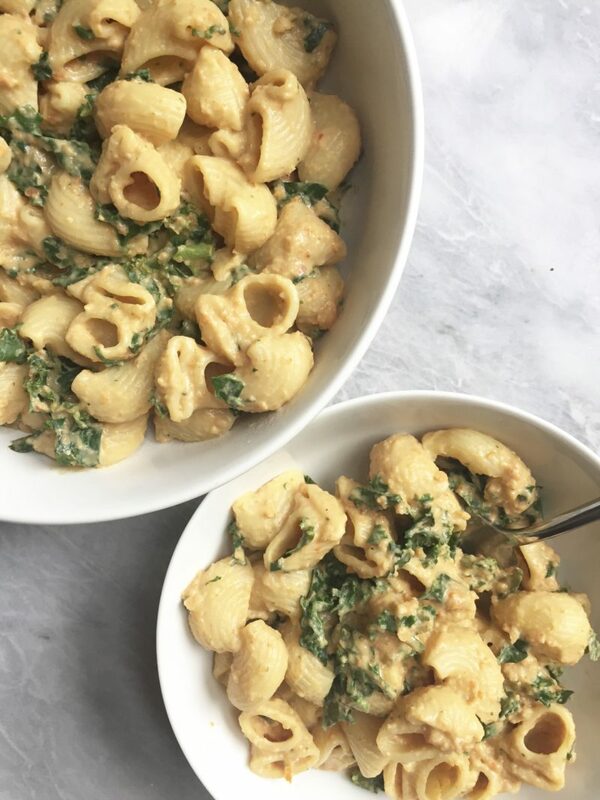 What plant milk would you recommend using for this recipe?? I have used it with Soy milk or Ripple Plant Milk and I loved both! I am allergic to nuts so I can’t speak for nut milks. what kind of sun dried tomatoes did you use? the ones in oil?